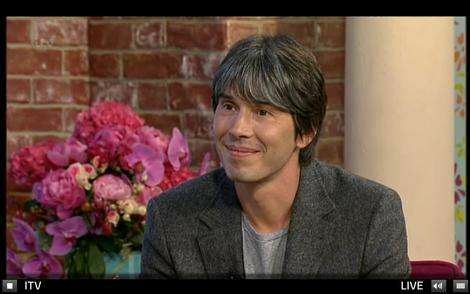 Professor Brian Cox recently guested at a morning tv show called “This Morning” at ITV. Brian Cox, the foppish scientist, was actually a member of a pop group sensation of the early to mid 90s, called D:REAM. He was the key board player. This was a part-time interest while he was being a particle physicist at the University of Manchester. Today, Brian Cox has more or less left the music industry. He is now well and truly a member of the academia. He now works at CERN, Geneva. The high brow Professor Cox has not completely left his pop star image; instead he is now the new face of popular science in Britain. He is often found fronting documentaries about science particularly things that have something to do with Particle Physics. I must say he’s got the knack of making high faluting subjects, brain numbing topics, to sound interesting and can be understood by viewers from all walks of life. During his guest appearance at This Morning, Prof Cox revealed that teleportation is no longer a science fiction. It is already happening and being applied at this very minute. He further said that we will be able to teleport ourselves to work or anywhere in the universe just like in Startrek. I am not sure whether professor Cox has really seen Startrek or knows the science of Startrek. According to Startrek, teleporting is done by replication. You go through a pattern buffer in the transporter. Your original molecules and atoms are stored there but replicated and teleported to wherever you wanted to be. What if during teleportation, the original does not completely separate from the replicant, you will be left thoeritically with twin entities! Bizarre. ently “real” teleportation does not do copies. The real thing is teleported to appear somewhere else. At the moment scientists are working on teleporting atoms and molecules and this has been a success and the mass being teleported is getting bigger and bigger all the time.